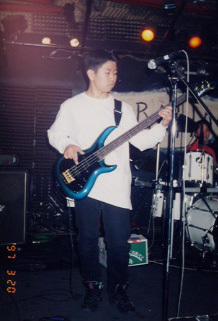 Kai Kurosawa picked up the electric bass at the age of fifteen. Today his primary axe is Kūbo (aka the Aircraft Carrier); a custom 15-string instrument which he co-developed with renowned luthiers Michael & Daniel Tobias (MTD). Kai is self-taught and also self-created fresh new cutting edge musical techniques for this unique instrument. Widely considered as truly one of a kind player, he is frequently invited to teach seminars and clinics in the United States, Europe, and Asia. He is consistently busy working with various bands and creative projects; genres include jazz, progressive metal, rock, pop, and electronic music. When not on tour, he works as a producer/programmer and gives online lessons. Kai currently resides in Los Angeles. There was always music playing in the house, mostly classical, sometimes pop. Kai learned to play piano from his mother until the age of 12. He would also try his hand at trumpet, trombone and guitar. 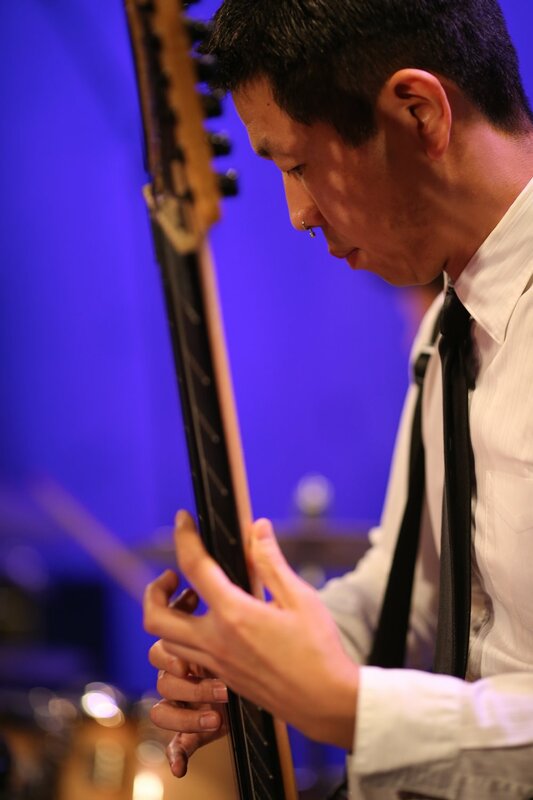 He started playing bass parts on the guitar for a few months and decided the bass was the right instrument for him. He bought a 4 string bass and made some of his first solo compositions. His mother to this day says the core of Kai's compositions hasn't changed. "DOUBTS" was the first album in 2002. It featured trio and quartet tunes. Since then he has released 3 solo albums, "TRIAL TRAIL TALES" 2016, "MORE TO IT" 2017, “Past Point Progression” 2018, and a new album for 2019 is also in the works. GOT MONK? is a project that has released 6 albums to date and will be releasing their 7th album in 2019. The group is now focused as a duo with the drummer Kegoi. "LIVE AT CURVE LINE SPACE" 2012, "GOTRIONK!" 2013, "A COMMON WINDOW" 2014, “2.0 - Live at Jack Lion -” 2018, “the ARCHITECTURE SESSION” 2019 and “the 5th Session” 2019. Instruments such as the Chapman Stick, Warr Guitar, Touch Guitar etc have so many variations on the tuning. Students are able to take lessons from Kai and learn from his deep in-sight on tapping, independence as well as his new techniques. There is plenty of laughs shared in his lessons as Kai enjoys keeping everyone's mind and body loose. Kai has taught at California Institute of the Arts, Los Angeles College of Music, Musicians Institue (Hollywood, Tokyo, Osaka, Sendai, Nagoya, Fukuoka), ESP Music Academy, Chapman University, Cal Poly Pomona, Whatcom Community College, Académie d'été de Wallonie, European Tap Seminar, Koyo Music school, Japan Tap Seminar, Marshal High School, Community Arts and Partnership, Valencia High School, Elmira High School, Bridgeport Elementary, Big Boss Kanazawa, So la Music Academy, Cornerstone Music Conservatory, University of Nevada, Reno, Nagoya University of Arts, Walt Whitman High School, Inner City Arts, Bridges Academy. “SHARP THREE can truly be called—not World Music—but Global Music. The same can be said of Kai Kurosawa and his writing. Kai’s bass instrument of choice is the 24-string Beartrax “Big Mama Bear” that Kai himself designed. It is best described as a Chapman Stick on steroids. The solo improvisational "explosion" at the end is all Kai. He is actually holding down the bass line at the same time. “Lullaby for a Content” is from Kai’s pen and his skill with the 6-string bass proves that Kai is not a gear-head who relies on technology but rather on technique, not machinery but musicianship. “Sharp Three is not an album that you will be able to discover in a few listens. The music is at times pretty complex and cerebral bit also, surprisingly, has raw live qualities that we don’t usually expect from this musical genre. “Kai Kurosawa, who also plays the Warr Guitar, with an enormous fret board, the Warr guitar produces sounds unlike you’ve ever heard. It’s this blend of traditional and modern instrumentation that makes Kai’s work so fascinating. “Sharp Three put a wide mix of music together on their album, Zero Cool. Surpassing the quotidian jazz clichés about "moments" and "hipness," this album possesses sonority where even the stoniest non- emotes hear spirituality, Sharp Three provide music with enough cultural variation to lose self in parts or whole. 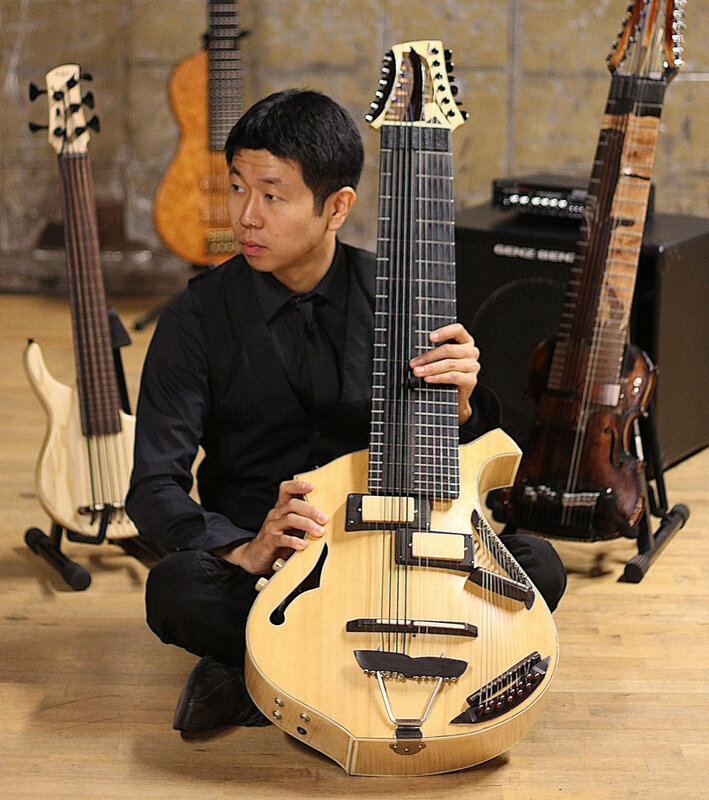 Kai Kurasawa on "probably all touch-style instruments in the known universe" is far beyond experimental, (the extreme 24-string Beartrax sound being one of the many).